It was while swatching for another project that the idea for this shawl was born. With simple stitches, an asymmetrical shape, and an edging of petal-like points, the Snowdrop Shawl proves that a project doesn’t have to be complicated to be a knockout. Gauge: Gauge is not significant in this design. Since the pattern can be worked to any size, just make sure that you like the feel of the fabric you are producing! Row 10: Ch 1, turn. (Sc, dc, sc) in marked sc and bring marker up into 1st sc made. *Dc in next sc, sc in next dc. Repeat from * until 5 stitches remain; dc in next sc. Leave remaining stitches unworked. Row 11: Ch 1, turn. Sc in 1st dc, *(dc in next sc, sc in next dc). Repeat from * across row until marked sc. (Dc, sc, dc) in marked sc and bring marker up into last dc made. Row 12: Ch 1, turn. (Sc, dc, sc) in marked dc, & bring marker up into 1st sc made. (Dc in next sc, sc in next dc) across row, dc in last sc. Row 13: Ch 1, turn. Sc in 1st dc, *(dc in next sc, sc in next dc). Repeat from * across row until marked sc. (Dc, sc, dc) in marked sc and bring marker up into last dc made. Repeat Rows 10-13 as many times as desired to complete shawl. Finishing: Finish off, weave in ends. Block lightly & wear with pride! Very cool… gotta try this! 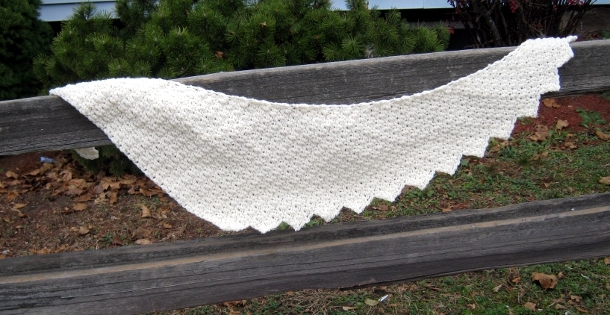 Beautiful shawl, thanks so much for sharing it! One question, I can’t find a reference for the amount of yarn needed. Do you remember how much you used? I used about 7 ounces – I could have used a bit more to make it a bit bigger, but I had only 7 ounces of the yarn (which was a mystery vintage acrylic yarn). 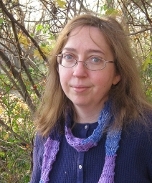 It does use up more yarn than a traditional lace shawl because of the textured stitch. Hope this helps! Loving this pattern! My very first baby afghan for my first Grandchild was this st pattern I really enjoy, sc in dc, dc in sc, made even more lovely with the style Anastacia has created. Nice drape too with the 7.5mm hook. Love this. Just finished one. One question though; do you have other pics to show how to wear it? OK, Things are going well. but I finished row 13 that ends with double crochet that is marked. Now I continue to row 10 and it says turn etc. into the last single crochet marked. Row 13 ended with the double crochet. Pattern says continue rows 10-13. Can someone advise, please? I’ve started this project several times and taken in out each time before with can get to the 7th row. For some reason, I can’t get the pattern to do what I think bit should and have gotten myself confused about how many stitches are supposed to be placed into one stitch. I’m not coming out with the correct numbers of stitches in each row. Do you have a diagram available of the stitches so I can see how it looks? Thanks you! thanks so much- can’t wait to start! What a beautiful wrap. Thank you for the pattern. I like to give unique gifts of crochet like this pattern to friends. LOVE LOVE LOVE this!! Will definitely be adding this for a friend who wanted a shawl without any holes……… you are a lifesaver!!!!! Thanks for making this available! i dont know how many to chain to start out. please help.??? i am using a little lighter than worsted weight and prob a J hook. How did the Snowdrop Shawl get its name? I love the simpleness and uniqueness of your shawl….it’s stunningly beautiful, thank you for sharing your patterns. You don’t say the number of stitches to start with and I see someone else asked that very question last year. Can you please answer? I would like to start my project ASAP. Hi, Betty! The answer is 2. Hope that helps. That looks to be all there is. Looks easy. I am going to try this for a Christmas gift I think. 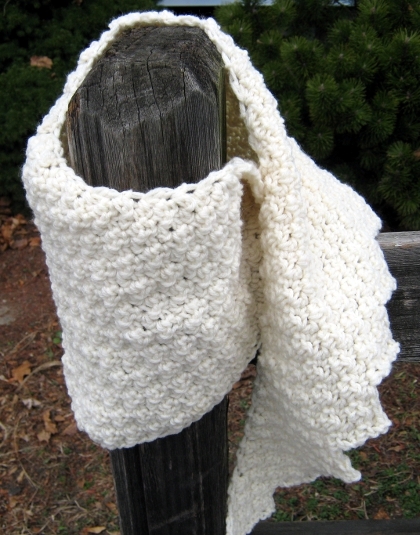 I made two of these using the Elann wool and got amazing results…beautiful colors and so stylish! This is definitely a crochet pattern I will repeat many times. Thanks for sharing with us! Please can you tell me how to wear this shawl and wat is a good size. How long?